In other words, flow state feels really good. When was the last time you had that experience? With your peak experience in mind, gather the 6 sheets of paper. For the moment, put one sheet off to the side and stack the other 5 in front of you. At the top of the first sheet in the stack, write a few words to label your peak experience. (In my case, it would be “ballet class.”) Do the same with the 4 remaining sheets of paper in the stack, labeling each one with a different peak experience. It may take awhile to come up with 5 different experiences. That’s okay. Take your time. Close your eyes if it helps. Go as far back into the recesses of your memory as you need to. Keep pushing yourself until you have 5. When you’re finished, reassemble your stack. Below the peak experience you’ve labeled on each page, make a list of the unique skills that you used during the activity. And as before, metrics are an important part of the exercise. Don’t stop until you’ve written down at least 5 skills for each peak experience. In my example of ballet class, here are 5 skills that I’d jotted down: natural sense of balance, determination to persevere even when it’s difficult, mind/body awareness, discipline to show up in 100 degree weather in a dance studio with no AC, and good memory for choreography. After you’ve written down your skills for all 5 peak experiences, take the sheet of paper that you put aside. On the top half of the sheet, create a new list of the skills from all your peak experiences. You should have 25 (or more). There will likely be redundancy. Write each one down, even if they are repeats. Read through the list a few times. With highlighter in hand, mark the skills that resonate the most and stand out to you as reflecting your core strengths. On the bottom half of the 6th sheet of paper, make a list of the skills you highlighted. Before we move on to the last step, take a moment to soak in these strengths. Own them. Be proud of them. Going forward, find ways to integrate them into your bio, resume, Linkedin page and more importantly, conversations with potential employers. In thinking about these core strengths, here are a few final questions and an action step to help you find purpose. If money was no object, how would you love to put these skills to use? In other words, what would you do – or are you already doing – for free? And who do you know who’s doing this? 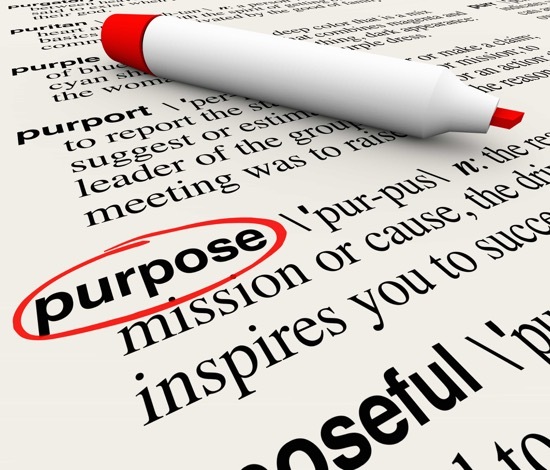 And if you’d like personal one-to-one guidance to help you find purpose, let me know. It would be great to hear from you! This entry was posted in Career change, Networking. Bookmark the permalink.